Pro Evolution Soccer 19 is doing exactly what their name implies, evolving. Konami has added three major pieces to the Pro Evolution Soccer 19 formula that should leave PES fans happy and satisfied. 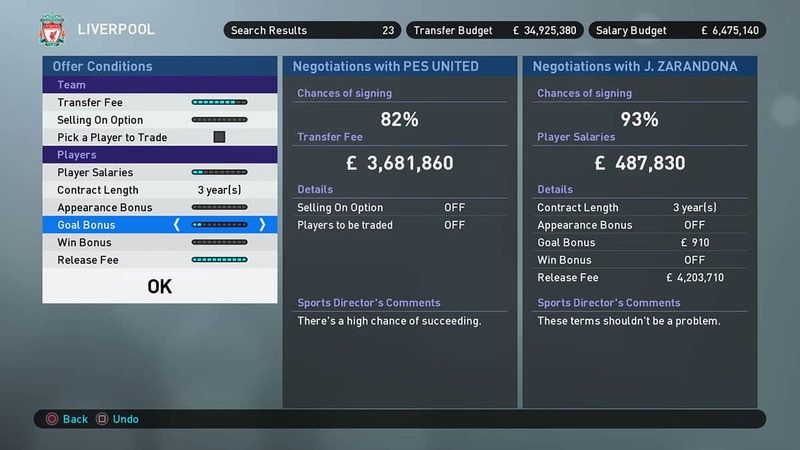 Pre-season featuring the International Champions Cup, negotiation for transfers has been improved and more authentic licensed leagues are coming to PES 19. New to Pro Evolution Soccer 19 is a retooled negotiation system that will allow for more realism. Konami went back to the drawing board and added a bevy of clean sheet options which will make the user think twice before making moves off the pitch. A re-sell option has also been added to club management. Pro Evolution Soccer 19 has added nine new officially licensed leagues including Scotland’s Ladbrokes Premiership, Swiss Super League, and PES 19 exclusive Russian Premier Liga. All league regulations have been added and features like Scotland’s Ladbrokes Premiership’s Split System is included. The crux of every sports game is player development. 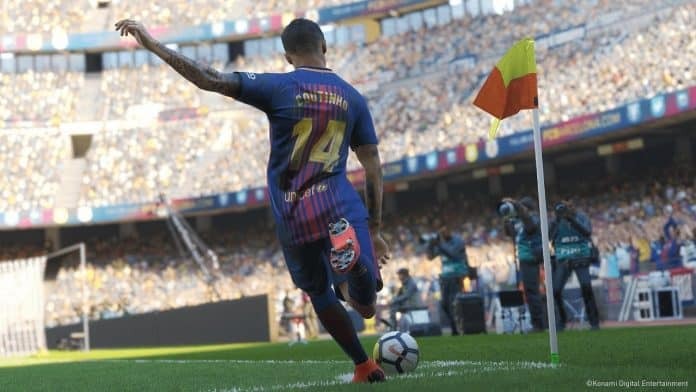 Player development will always be something that is evolving and Pro Evolution Soccer 19 is making their changing to how your footballers will progress. This year will feature 11 new skill traits to help create a more authentic feel to players. 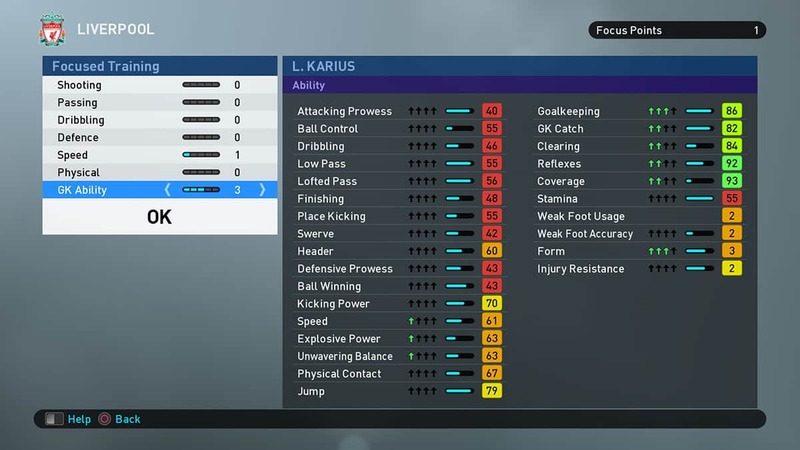 PES 19 is also adding some keeper skills, including a “GK Ability” skill under “focused training” to allow keepers to progress at a good pace. Skill trait points distribution has also been modified from previous iterations of Pro Evolution Soccer. Now you’ll be able to distribute the degree of focus training for each item. This will help managers develop their players according a strategy they’ve picked for their club. In previous years, Pro Evolution Soccer didn’t handle transfer negotiations well. The biggest drawback was the lack of conditions and terms being known from the start. PES 19 changes that with everything right on the screen at all times. You’ll no longer have to play the guessing game when negotiating with players and other clubs. PES 19 has also added new personality traits to players. A player’s personality will be built around one of four personality traits. Once a personality trait has been selected, their team role will be assigned. Team roles like Superstar, Hero, and Key Player, will define how the player is viewed to the club and plays on the field. PES 19 has also added new team role effects like Rising Star, Bad Boy, and Superstar. Lastly, is the news feed. A news feed has been added to the Master League menu. The feed will play videos for major accomplishments such as a press conference for a signing a new coach, being awarded certain things, and highlight important milestones for the club you manage. The news feed should add a level of simplicity to PES 19 while also delivering an incredible depth of content. Pro Evolution Soccer 19 will be available for Playstation 4, Xbox One and PC on August 30, 2018.